The largest ice-cream shop chain in the world has announced plans to increase its presence in the UK over the next three years. 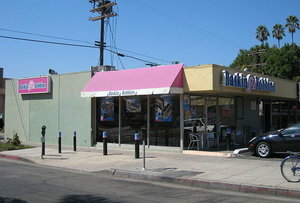 No job freezes for Classic American ice-cream manufacturer and retail chain Baskin-Robbins. The firm has announced it will almost double the number of stores it has in the UK, from 100 to 180 as its parent company Dunkin’ Brands Group attempts to get some more traction Europe. The new locations will include freestanding shops and also stands in cinemas in concession deals. Brrrrrilliant news. In a small but much-needed boost to employment, the initiative is likely to create around 400 jobs, both full-time and part-time. You can bet there won’t be a cold reception when the positions finally open: we’ve just slipped back into recession so at least the openings will mean 400 fewer people feeling the economic chill. The new stores will take the worldwide total of Baskin-Robbins outlets to more than 6,700. Parent company Dunkin’ Brands share price is up 31% so far this year, and it should come as no surprise: the firm plans to open around 270 new Dunkin’ stores in the US this year, where it already has around 7,050 locations. Both the company’s Dunkin’ Donuts and Baskin-Robbins brands are performing better than expected in its core US market. The openings will be under the franchise model, and so create an opportunity for actual new businesses in locations all around the UK. The firm said it is looking for entrepreneurs with a strong financial background and a passion for their local communities.’ Realistically though, if the bad weather holds out, we’re not going to need any extra ice-cream.